A Chartered Accountant and Licensed Insolvency Practitioner, Gareth has hands on experience in planning and implementing operational strategies in his roles as an entrepreneur and investor. 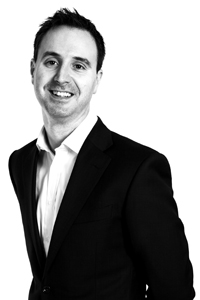 In his professional career, he has held the position of Partner at Grant Thornton UK LLP. In 2015, he established Aperture LLP – becoming the owner and CEO – before selling his interest in the business in 2016. Gareth is now an Entrepreneur and Investor, helping businesses become profitable and enhance their value. He is also a Non Executive Director with a position on the Board of 3 companies. He is a Guest Lecturer at both of the Universities in Northern Ireland.